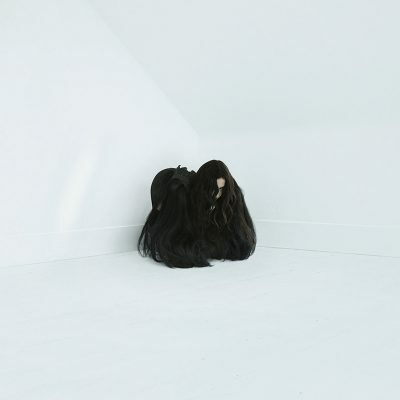 Finally, the most beloved Queen of Darkness, Chelsea Wolfe, has released her brand-new album, Hiss Spun. Her classic, fan-favorite and attractive-to-the-ear folkiness shines through in her vocals as well as her drum beats, while hauntingly distorted guitars and thunderous baselines support that contrasting softness. Her influences of folk music, doom and goth are all beautifully represented throughout Hiss Spun, and it makes for a marvelously macabre release. Hiss Spun opens with a chuggy, screechy track titled “Spun.” Right off the bat, it gives me the image of Morticia Addams covering a Lana Del Rey song. Wolfe’s vocals are so dreamy and airy yet strong, and they have that antique vibrato that blends seamlessly against the face-melting, high-pitched screeching of the guitars within the track. It’s a strong start that presents every wild, wicked thing that’s in store for the rest of the album. As the album progresses, I get bits and pieces to chew on within every track. There’s always something to hone in on, whether it’s the arrangement of the drums against a catchy riff, the layering of the distortion within every element or her bewitching vocals. There’s something that specifically captures my attention within every song, and that gives variety to the album. Instead of listening to straight doom, folk or goth for the entire album, Chelsea Wolfe takes a piece from each and creates her own, fascinating sound that keeps me interested, song after song. Although it seems like there’s a lot going on, every piece of the puzzle comes together within this 12-track album. Track 7, “Twin Fawn,” is one of my favorites on the album mostly because it takes a break from the aggressive distortion and focuses on the simpler side of things, at least for the first little bit. It’s so relaxed that it almost sounds like something you’d hear at an open mic night performance. The guitars sway and twinkle against the soft, supple drums and Wolfe’s vocals are breathy and tender, at least up until 1:47, when the heaviness hits me like a tidal wave. The buildup was unexpected, but so powerful and satisfying when it happened. The entire track is a continuous build-up, climax, come down on repeat and it is absolutely intoxicating.